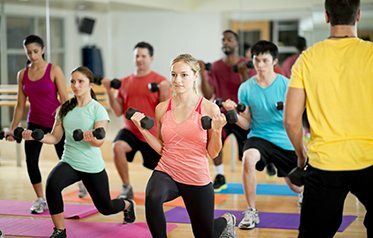 Valley Fitness proudly offers gym members Les Mills Group Classes in Harrisonburg, VA. Les Mills fitness is an excellent way to burn calories and reach your physical fitness goals. 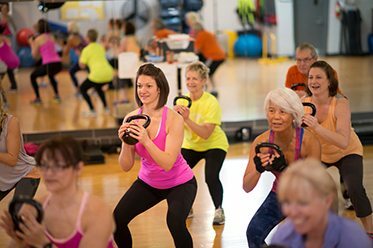 With classes including BodyPump, BodyStep, BodyCombat, and BodyFlow, these choreographed exercises to music exercises will ensure that you have fun while receiving an intense full body work out. Valley Fitness gym members will improve cardio, flexibility, and their core with Les Mills fitness classes. Don’t forget that you can sign up for a free 3 day gym pass. With our professional fitness studio, friendly staff, and a variety of unique gym amenities, we know you’ll be calling Valley Fitness your new gym home in no time!